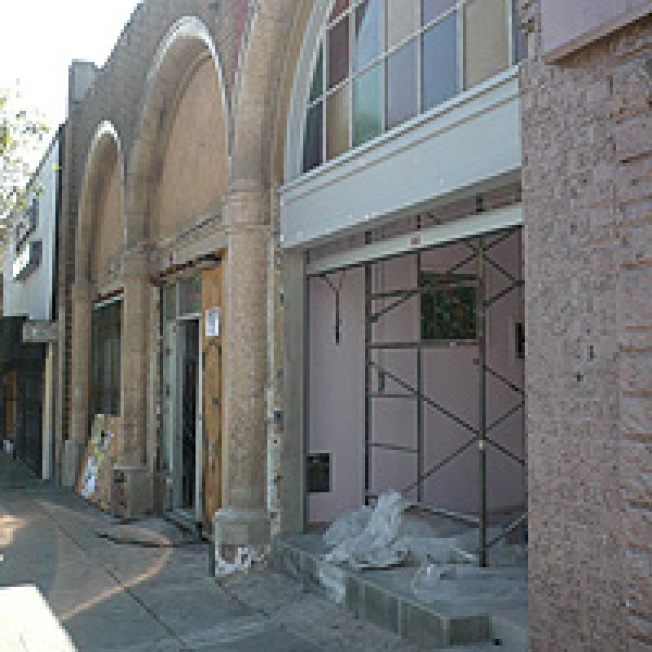 Echo Park is getting a number of cool retail additions very soon. We find out from the LAT music blog Soundboard that a vinyl only record shop, Origami, from the Echo Park-based record label of the same name, will be opening up next to the Echo at 1816 Sunset Boulevard. The label "has local stalwarts Army Navy and Wait.Think.Fast. on its roster." Neil from Origami describes the merch: "We will be carrying a good variety of records that cater to the home listener and sell things like turntables, needles, accessories and other goodies. The store will also double as an art gallery showcasing monthly shows. I hope to have the store/gallery open by the holidays..."
On the same stretch at 1716 Sunset Boulevard, a new bookstore, cafe and gift shop Stories will be opening in late October, which is co-owned by Spaceland's Liz Garo. We also hear from a tipster that Out of the Closet will be opening up nearby: "It will open near Echo Park Lake on Sunset Blvd I believe in mid to late October."